The Getty Foundation announced $1.66 million in architectural conservation grants dedicated to twelve significant 20th century buildings as part of its Keeping It Modern initiative. 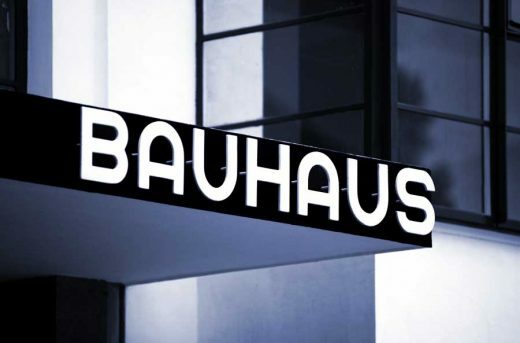 Among this year’s most recognizable projects is Germany’s Bauhaus Building, the revered Dessau structure designed by architect Walter Gropius, who incorporated design features that would ultimately become synonymous with modern architecture around the world. 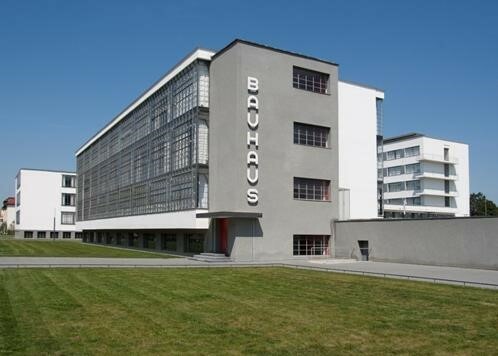 Walter Gropius’s 1925 Dessau Bauhaus building is an icon of the modern movement: a sleek steel, concrete, and glass structure designed to house the most progressive school of art and architecture of the time. The building is both a clear statement of Gropius’s visionary aesthetic and a monument to some of the 20th century’s most influential artists, architects, and designers who served as Bauhaus faculty. The central Bauhaus building is a striking ensemble of three wings with two connecting bridges, varying in height and placed at 90 degree angles. 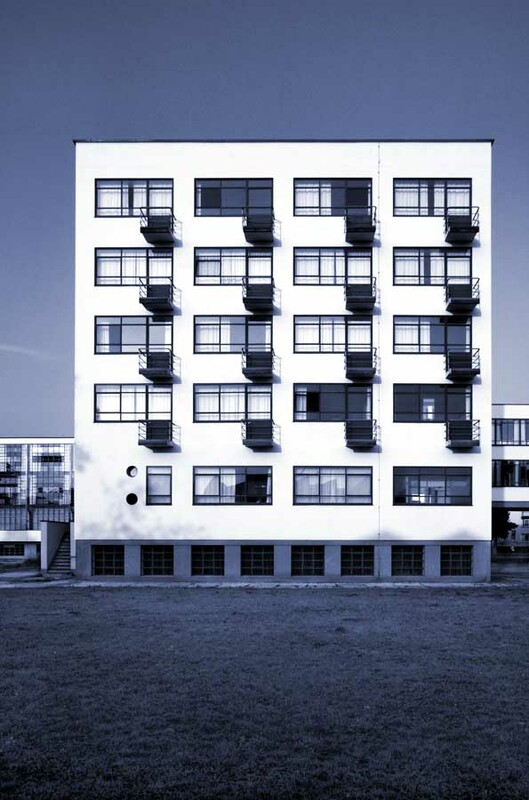 Gropius relied on innovative engineering technologies to create a large skeleton of steel and reinforced concrete, brickwork, and mullioned steel windows. He achieved variation in the façades through restrained color difference between walls and the bold use of steel-framed glass to form curtain walls, one of the earliest examples of this characteristic feature of modernist architecture. UNESCO named the campus a World Heritage Site in 1996, and today it is open to the public as a museum and research center owned and managed by the Stiftung Bauhaus Dessau. 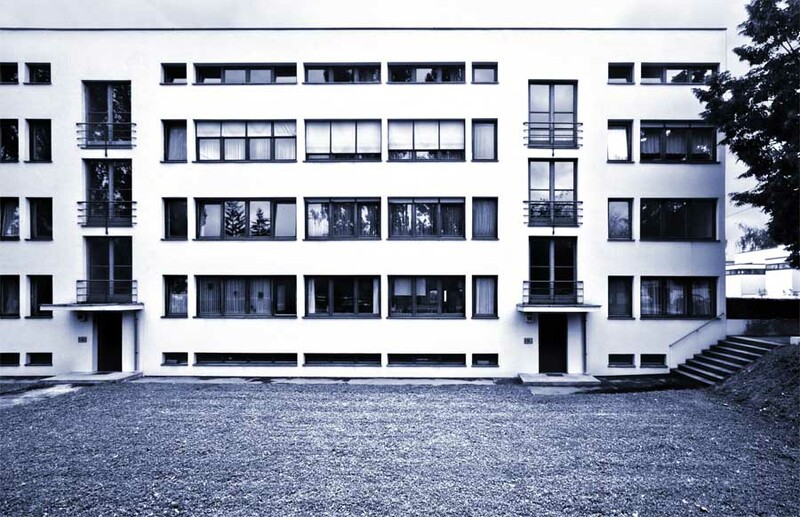 An exemplary steward of the site, Stiftung Bauhaus Dessau recognizes that the longterm care of the building requires the development of a conservation management plan. To create the plan, experts will research and then consolidate the site’s extensive historical and technical records into a comprehensive database to guide and prioritize future interventions. Research will include new technical studies of original paint colors, analyses of character-defining features such as steel-glass window constructions and nickel plated fixtures, and explorations into the use of experimental materials that are no longer produced today. 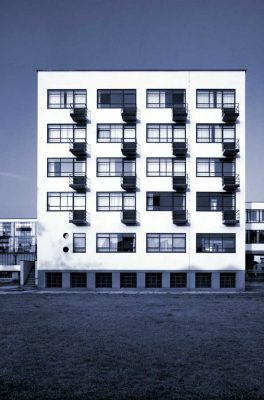 Exhibition by Gordon Watkinson ‘Bauhaus twenty-21: An Ongoing Legacy’, a critical and visual exploration of the Bauhaus heritage in the context of contemporary living, architecture and design. The exhibition has been traveling throughout Europe since its opening at the German Architecture Museum in Frankfurt in 2009, commemorating the 90th anniversary of the founding of the Bauhaus School. It was shown in 8 venues and there are 3 more to come, finishing up the European tour in 2013/2014. Early next year the exhibition will go on tour in the US: Auburn/AL, Little Rock/AR, Memphis/TN, Bartlesville/OK (in Frank Lloyd Wright’s Price Tower! ), Moscow/ID, Palm Springs/CA (as part of Modernism Week). With the exhibition ‘Bauhaus twenty-21: An Ongoing Legacy’ I wanted to initiate a dialogue between the timeless modernism of Bauhaus architecture and the visions of contemporary practitioners, as well as offer a different perspective on Bauhaus design philosophy as it relates to architecture and its relevance in today’s society – from the use of prefabricated housing techniques to create affordable housing, to early ideas in what is today sustainable and green architecture. 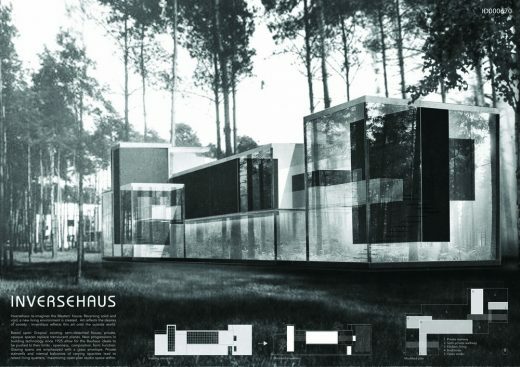 The contributors to the project are Michael Siebenbrodt, director of the Bauhaus Museum in Weimar, Falk Jaeger, a noted architecture historian and critic from Berlin, Peter Cachola Schmal, director of the German Architecture Museum in Frankfurt, as well as Allmann Sattler Wappner Architects, Rolf Disch, Fink+Jocher, Galli & Rudolf Architects, Ingvartsen Architects, Petzinka Pink Architects, Graham Phillips, RCR Architects, Sauerbruch Hutton, Werner Sobek and Hanno Vogl-Fernheim. 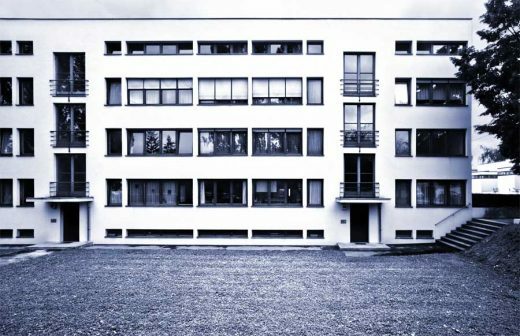 Sunday, April 1st marked the 93rd anniversary of the founding of the Bauhaus School in Weimar. Jan 24 – May 5, 2013 Jule Collins Museum of Fine Arts, Auburn University / Auburn – Land of the Rural Studio! Jan 23 – May 4, 2014 Price Tower Arts Center / Bartlesville, OK – In Frank Lloyd Wright’s Price Tower! The catalogue is published by Birkhäuser Verlag, Basel. 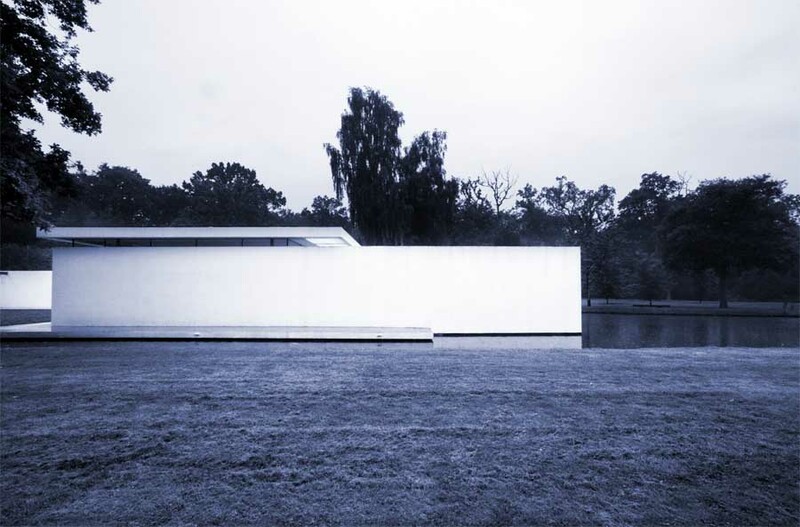 The Bauhaus Building and the Masters’ Houses in Dessau, by architect Walter Gropius, have been listed as UNESCO World Heritage since 1996. The Renovation of the Bauhaus Building and the Masters’ Houses in line with monument conservation practice underpins this status.